The development and interest in mindfulness is rapidly growing and training processes are therefore becoming more structured. However, within the UK and Spain there are currently no formal or official qualifications/certification processes which regulate competency in teaching mindfulness-based approaches. This requires those of us working in this developing field to inquire deeply into our own practice, our integrity, our intentions and the boundaries of our skills, competencies and understandings. 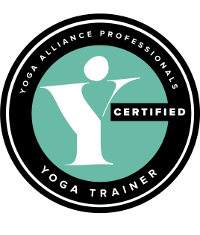 To meet these recommendations and as a professional Teacher Training School we exceed the Educational Standards required by the Yoga Alliance and follow the UK Network for Mindfulness-based Teacher Trainers Best Practice Guidelines. These guiding principles have been developed to promote good practice in teaching mindfulness-based courses. Mindfulness courses are intended to teach people practical skills that can help with physical and psychological health problems and ongoing life challenges. The main approaches used in the UK are Mindfulness-Based Stress Reduction (MBSR), Mindfulness Based Cognitive Therapy (MBCT) and the Breathworks Mindfulness Based approaches to Pain and Illness (MBPI), all of which are normally taught over eight 2-3 hour sessions. 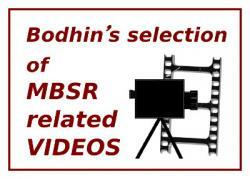 MBSR is a group-based programme developed by Jon Kabat-Zinn and colleagues at the University of Massachusetts Medical Centre, Centre for Mindfulness (CFM) for populations with a wide range of physical and mental health problems (www.umassmed.edu/cfm/home/index.aspx). MBCT is an integration of MBSR with Cognitive Behavioural Therapy. It was initially developed by Zindel Segal, Mark Williams and John Teasdale to help recovered recurrently depressed participants and has been recommended by NICE for this group. MBCT is evolving to be taught to a broader range of people based on psychological understandings of what causes human distress and in a range of settings (e.g., health service, schools, forensic settings). The Breathworks MBPI course is a development of MBSR, specifically for people with chronic pain and / or other long-term (physical) health conditions (www.breathworks-mindfulness.org.uk). Developed by Vidyamala Burch, it combines key elements of MBSR and MBCT with particular approaches to mindfulness in daily life and mindful movement that are suitable to this population. It also includes compassion meditation as a core component. 1. Familiarity through personal participation with the mindfulness-based course curriculum that they will be learning to teach, with particular in-depth personal experience of all the core meditation practices of this mindfulness-based programme. 2. Completion of an in-depth, rigorous mindfulness-based teacher training programme or supervised pathway over a minimum duration of 12 months. 1. A professional qualification in mental or physical health care, education or social care, or equivalent life experience, recognized by the organization or context within which the teaching will take place. 2. Knowledge and experience of the populations that the mindfulness-based course will be delivered to, including experience of teaching, therapeutic or other care provision with groups and/or individuals, unless such knowledge and experience is provided to an adequate level by the mindfulness-based teacher training itself. An exception to this can be when teaching with the help of a colleague who knows well the population to whom the course will be delivered and has a relevant qualification. They would also need to have an understanding of mindfulness-based approaches. 3. If delivering MBCT, knowledge of relevant underlying psychological processes, associated research and evidence-based practice, unless these are provided to an adequate level by the mindfulness teacher training programme. ii. Receiving periodic feedback on teaching through video recordings, supervisor sitting in on teaching sessions or co-teaching with reciprocal feedback. 3. A commitment to ongoing development as a teacher through further training, keeping up to date with the evidence base, recording and reflecting on teaching sessions, participation in webs forums etc. 4. Adherence to the ethical framework appropriate to the teacher’s professional background and working context.